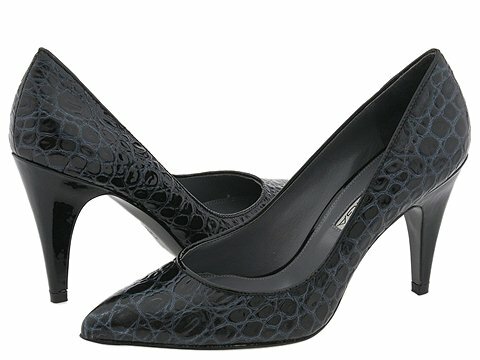 Via Spiga gives your basic pump a dose of high fashion style. Embossed leather upper. Leather lining. Lightly padded footbed. Leather sole.